Do you love planning parties for your kids? I'm pretty creative and I love to experiment with food, but throwing themed parties is generally not my cup-of-tea. Luckily, I recently attended an event in NYC sponsored by Disney baby and I was inspired by their simple Winnie the Pooh themed menu. It was easy enough for someone like me to put together, and also cute enough to impress your family and friends. While at this event, I learned that simplicity is key when it comes to party food. The menu plan was simple and there was something for everyone. Yet, at the same time, the cute little cards in front of each dish made it clear that we were celebrating all things Pooh! See... isn't that a nice simple menu? There is no need to over-complicate things and go nuts on Pinterest finding 100 different ideas. 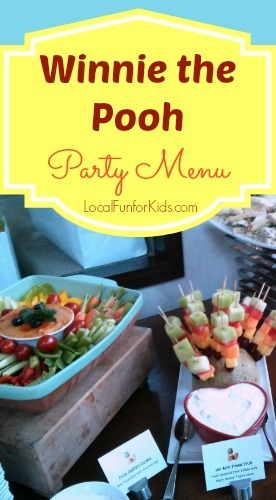 It's really easy to put together a simple and chic menu for a Winnie the pooh baby shower, first birthday or afternoon tea. If you think you need more food, add a few different varieties of tea sandwiches to offer a little more variety. That's it! 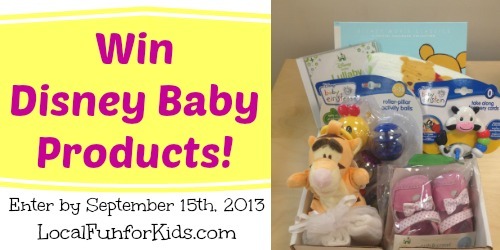 To celebrate Winnie the pooh and Disney Baby, I'm giving one of my lucky winners a gift box full of Disney baby products! The pack will include: 1 Hallmark Classics Winnie the Pooh Book, 1 Rolled Pooh Throw Blanket, 1 pair of Pink Crib & Crawl Shoes, 1 Puzzle on the GO, 1 Pooh Bib, 1 Monsters 1st Birthday Invite, 1 White Sachet, 1 Pooh Baby Shower invite, 2 Minnie Mouse Red/Yellow Bottles, 1 Minnie Mouse Bib, 1 Flat Pooh Blanket, 1 Pure Bliss Mark Free Zone, and 1 Baby Wash. That's a whole lot of Disney Baby goodness!! !